"Psycho IV: The Beginning." "Butch and Sundance: The Early Days." "Dumb and Dumberer: When Harry Met Lloyd." It used to be that a prequel marked the last gasp of a dying brand, a desperate and cynical money grab. Not any more. The last year has seen a seismic shift in Hollywood's approach to such films, which are benefiting from improved technology, more creative storytelling and audiences who are accustomed to back stories. Though director Ridley Scott says that his latest film, "Prometheus" (opening Friday), is not a prequel to his 1979 classic "Alien," it's very much a part of this new tradition, following in the footsteps of films like "X-Men: First Class," "Rise of the Planet of the Apes" and "The Thing." Starring Charlize Theron, Michael Fassbender and Noomi Rapace, the film follows a team of scientists on a mission to investigate what they believe is an invitation from an alien race. The film hits many of the same notes as its predecessor--Weyland Industries, a female protagonist, androids, the Space Jockey, a very unwanted pregnancy--but explores horrors all its own. Playing With Life and Death in "Prometheus"
Noomi Rapace and Michael Fassbender talk working with revered director Ridley Scott on the Alien prequel, "Prometheus," in theaters June 8. Damon Lindelof, who shares a screenwriting credit on "Prometheus" with Jonathan Spaihts, says one of the reasons prequels are so much better than they once were is that filmmakers are working in an age when the science and art of filmmaking are evolving by leaps and bounds. Apply that to great source material and you can make something special. For example, as great as the original 1968 "Planet of the Apes" is, the simians that populated that film looked only marginally better than hand puppets. Lindelof says 2011's "Rise of Planet of the Apes" is "a much, much more sophisticated rendering of that idea than the originals were. Not in terms of storytelling, but in terms of filmmaking. I think Andy Serkis' performance and the visual effects in that movie are just so incredible. And that's in addition to a really, really cool story, that sort of explains the first step on the way to the Statue of Liberty being overturned and washed up on a beach." 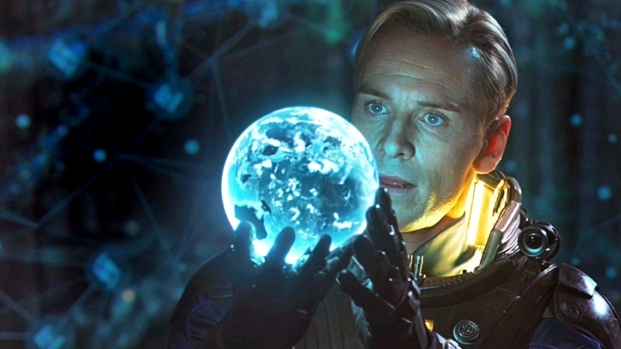 Noomi Rapace, Michael Fassbender, Guy Pearce, Idris Elba and Charlize Theron star in Ridley Scott's hotly anticipated prequel to "Alien," in which a group of scientists go in search of an ancient civilization in outer space--do these expeditions ever go well? Opens June 8. Spaihts notes that this new generation of prequels are made with "real respectable budgets and craftspeople and artists up and down the ladder, and that's all it really takes to enter a known story universe with a new story and have it be good." Case in point: Spaihts spent hundreds of hours talking over the story of "Prometheus" with Scott, crafting five drafts. Or look at the care that went into "The Thing," a prequel released last fall, which shares the same title as the 1982 version of the story (which was actually an adaptation of a 1951 film). It ends exactly where the other began--you could watch the two films back-to-back and the narrative would feel seamless. "Thing" screenwriter Eric Heisserer re-watched the original "over and over again," which led to "creating a story by autopsy." Reel Style: Dystopic Looks for "Prometheus"
"We had all these bits and pieces, all this forensic evidence, of what had happened at the Norwegian base, given to us by the '82 film. You didn’t want to have (a film) that just explained what happened, you wanted to have something that included the evidence that we saw from the '82 movie and then expanded the story beyond that." But that's not to say that today's audience need all the dots to be connected. Lindelof, who also employed a great deal of non-linear story-telling on the hit show "Lost," argues that knowing where a story is going -- but not know how it will get there -- can actually heighten the tension. "There's a huge power of knowing 'the bomb is under the table.' So that if Magneto and Charles Xavier befriend each other," says Lindelof, speaking of the original X-Men-turned-enemies, "every scene they have together, there's an undercurrent of tension that neither of the characters is aware of. But you as an audience are sitting there gritting your teeth thinking, 'Oh my God… This is just not gonna end well.' And that's fascinating to watch, in the same way that a freeway chase is fascinating to watch." 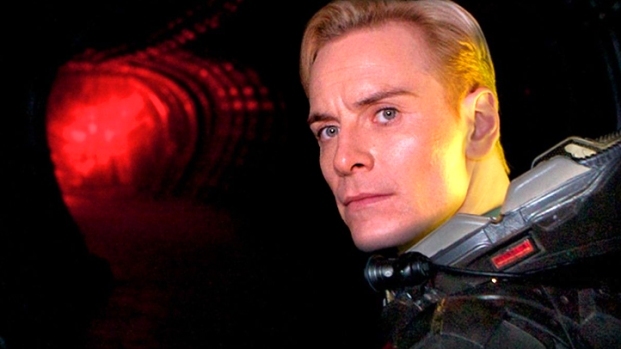 "Prometheus" similarly benefits from non-linear story-telling, though, again, it's not a "prequel." "If a prequel is, strictly speaking, a story that sets up the events of some existing tale, in the way the 'Star Wars' prequels brought us around to the birth of the original trilogy," explains Spaihts. "[Prometheus] is not merely a continuation of an existing franchise, but a jumping off point into something new, a reinterpretation." Heisserer, who's also written a sequel, feels prequels are "sexier," explaining "as storytellers, as audience members, I think we love origin stories." And even though we live in a time when we understand so much about the science of life, Lindelof believes origin stories are as vital as ever. "I don’t want to get into heretical conversation, but Adam and Eve is a very hard story to relate to based on the science that we have," Lindelof says. "We want to sort of bridge that gap and say, 'I want to continue to have a spiritual system of beliefs, I want to believe that I'm connected to other beings in the universe, that there is a purpose to my life, I want to feel that when my life is over, corporeally, I will go on in some for, but at the same time, all the scientific evidence I'm getting is running contrary to all those beliefs, and how do I wrestle with that?'"